European Cystic Fibrosis Awareness Day is an annual observance held on November 21. It was officially established in 2006 by the European Cystic Fibrosis Society (EFCS) to raise public awareness of the challenges that people with cystic fibrosis have to face on a daily basis. 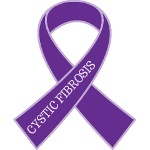 Cystic Fibrosis (CF) is a genetic disorder that affects exocrine glands. As these glands are responsible for production of mucus and digestive fluids, CF affects mostly the lungs and the gastrointestinal tract. Long-term issues include frequent lung infections resulting in difficulty breathing and coughing up mucus, pancreas problems, malabsorption, and others. There is no known cure for cystic fibrosis. Various treatment methods are used to relieve symptoms, maintain the quality of life and prolong life expectancy. They include antibiotics for preventive suppression of infections, pulmonary rehabilitation, pancreatic enzymes, and more. The management of cystic fibrosis has improved significantly over the past decades. In 1959, most infants diagnosed with CF were unlikely to live beyond their first year. Today, average life expectancy is between 42 and 50 years in developed countries. Still, cystic fibrosis is a chronic illness that can be very difficult to manage and greatly affects the quality of life. European Cystic Fibrosis Awareness Day was created to raise awareness about the condition and the problems that CF patients face.